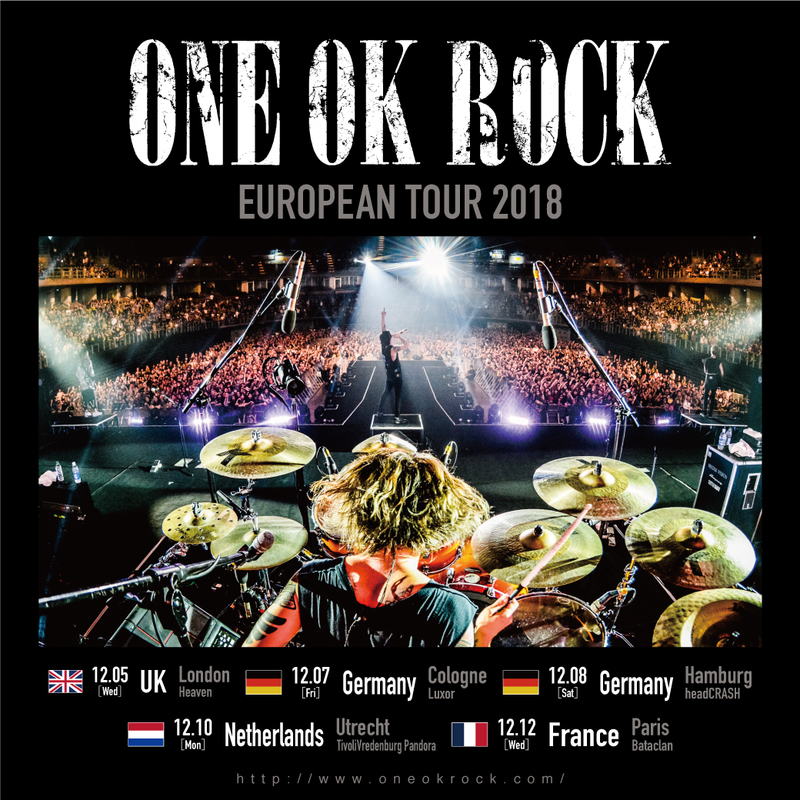 ONE OK ROCK will be coming to Europe this December! Starting with their “Rock Sound Presents…” London show on December 5th, the tour will see the band playing five dates all over Europe before concluding in Paris on December 12th. General sale starting on Friday the 28th of September. VIP Package is also available.